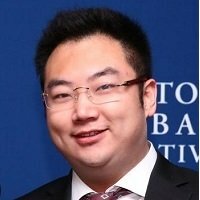 Mr. Kevin Xu is current president of MEBO International Group. He was born in 1988 in Jinan, Shandong Province, China. In 2011, Mr. Kevin Xu graduated from the University of Southern California in Neuroscience major. In September 2011, he joined the MEBO International Group, and worked with Dr. Rongxiang Xu on research and development of human regenerative restoration science field.